Did you realize there's a safe and non-invasive way to improve eyesight without daytime contacts or glasses? At Family Vision Care Associates in White Plains NY, our optometrist team is proud to offer corneal reshaping therapy (orthokeratology) as one of many techniques to help people see more clearly. Orthokeratology, often shorted to Ortho-K, is a non-invasive way to gently and temporarily reshape the corneas so light focuses directly on the retinas after it enters the eyes. This gives a person clearer vision without having to wear corrective eyewear during the day. Orthokeratology involves the nighttime use of special gas-permeable contact lenses. One popular brand used for this type of treatment is known as Paragon CRT (corneal reshaping therapy). These contact lenses are worn while the person is sleeping and gently smooth out the corneas. In the morning, the patient can remove the lenses and go about their day with clearer vision! While temporary, results are effective, plus there is a very minimal risk of side effects. Typical improvement is around 20/40 vision, though in a clinical study of Paragon CRT contact lenses, nearly 70% of people achieved 20/20 vision or better. Most people can expect to see results within just one or two nights of Ortho-K lens use. Higher prescriptions may take longer, and until the eyes fully adjust a person may notice some blurry vision or halos around bright light sources. The great news is that orthokeratology can be discontinued at any time. 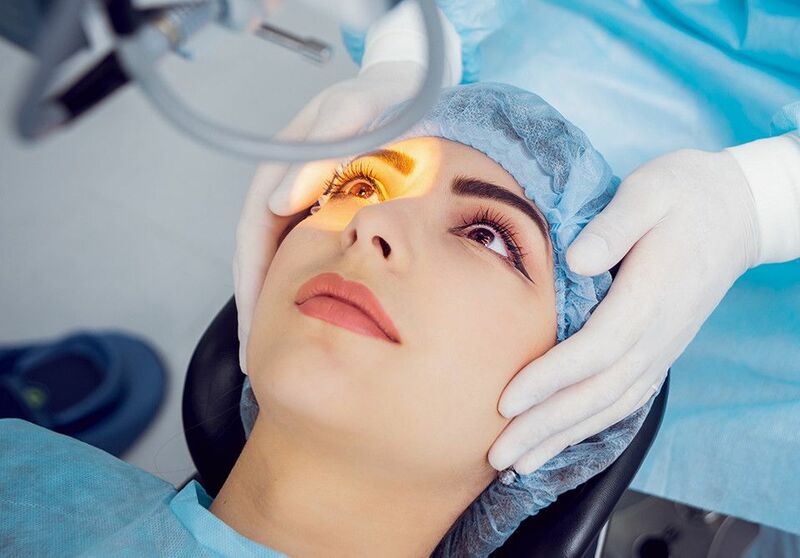 No permanent effects will occur to the eyes, so the person can go back to wearing their corrective lenses and still elect to undergo LASIK eye surgery if desired later on. Unlike Ortho-K, however, LASIK eye surgery is not reversible—something to keep in mind! Orthokeratology works best for patients with mild to moderate myopia (nearsightedness). People with mild cases of astigmatism, farsightedness (hyperopia), and age-related farsightedness (presbyopia) may also benefit from Ortho-K.
Ortho-K can be ideal for both children and adults who don't want to wear corrective eyewear due to personal or lifestyle reasons. For instance, they may engage in certain athletic, occupational, or leisure activities which make glasses or contact lenses undesirable. People with chronic dry eye syndrome, for whom normal contact lens use may be uncomfortable, can also benefit from corneal reshaping therapy. Interested in CRT for Your Vision Condition? Better vision without surgery or corrective eyewear may be possible for you! To learn more about affordable CRT, call Family Vision Care Associates at (914) 948-0304 and book your appointment with a White Plains optometrist, Dr. Paul Bernstein or Dr. Andrea Bernstein.